– VPN account (Shared IP): This plan has Shared IP address. This means all customers use the same IP on this plan and IP is share between all customers. 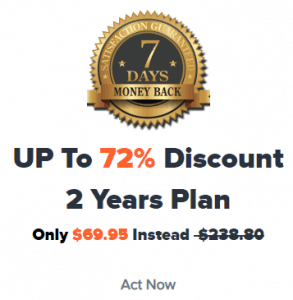 This plan is suitable for unblock websites and anonymous browsing. – VPN account (Dedicated IP): This plan has dedicated and private IP address. This means each customer will have unique and private IP address on this plan. This plan is good for online payment portals like; PayPal, Moneybookers,… and also for Dating websites. – VPN account (Unlimited): This plan offer unlimited bandwidth (download), this plan has share IP. We suggest this offer for customers who need to have huge download volume. – VPN with Dynamic IP: This plan has dynamic IP. This means VPN IP will change every 1 day. – VPN account (OpenVPN): This plan use dynamic IP, so the IP will be changed every 1 day. some ISP and Countries close the Ports for the normal VPN (PPTP & L2tp). The OpenVPN use another types of ports and it will not be closed. also the OpenVPN Provide the best security. – VPN account (SSTP): Secure Socket Tunneling Protocol Virtual Private Network (SSTP VPN), this Plan use dynamic IP which will change every 1 day. – Multi locations VPN: This plan provide the VPN from several servers locations and countries. These accounts use shared IP. – Multi Users VPN: This plan use shared IP. with this plan the client can connect using the same username and password from several devices in the same time. Hopefully this short article help yours to select best VPN plan.